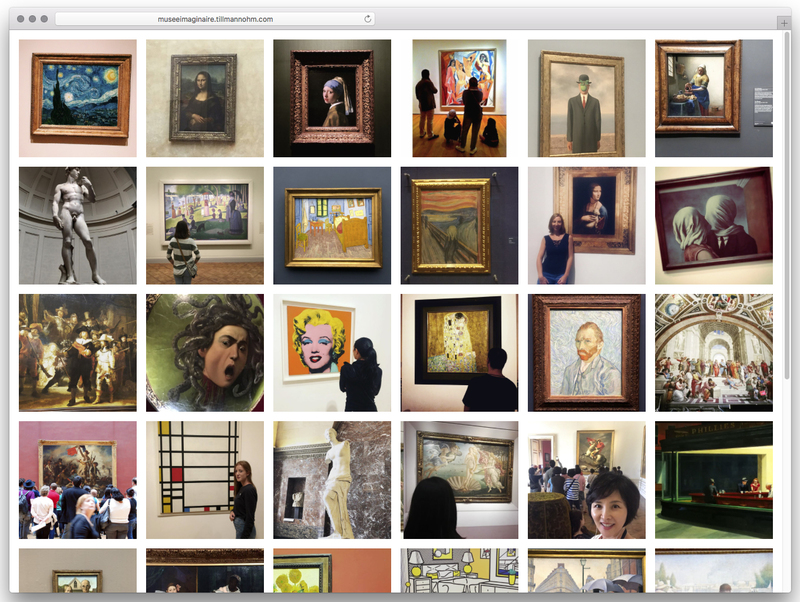 Livestreams of popular artworks collectively reproduced by social media users. A contemporary virtual version of Le Musée Imaginaire - the imaginary museum. Each artwork stream channels its latest representations from public Instagram posts based on their physical locations using geotags. Aided by computer vision, every hour Le #museeimaginaire gathers shared auratic moments by museum visitors around the world in nearly real-time.